ST. PETERSBURG/TASS/ Russia will hold a presentation of Be-200 amphibious aircraft in Thailand on May 24, Russian Minister of Industry Denis Manturov said on Wednesday. "Colleagues from UAC [United Aircraft Corporation] will present Be-200 aircraft in Thailand on May 24 in cooperation with Rosoboronexport, the special exporter. 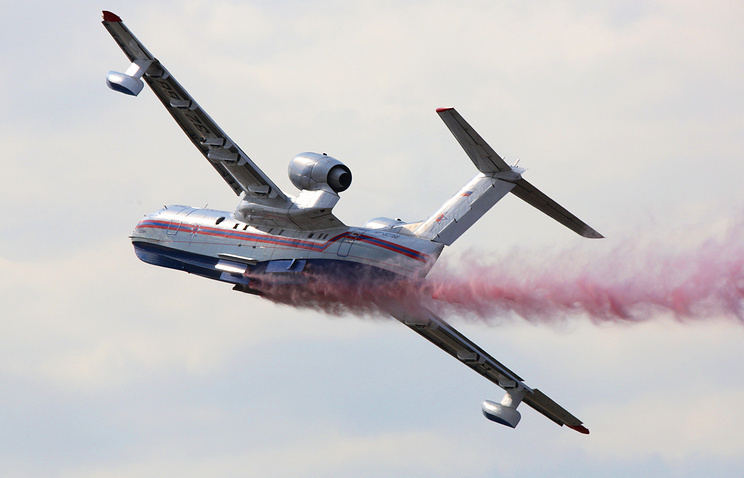 I will additionally task UAC to present Tu-214 aircraft that can be used for medical purposes and Il-76 aircraft for emergencies and disaster relief. This is a cargo aircraft that can be used for various purposes," Manturov said. "Russia is also ready to hold a presentation and make a commercial offer for helicopters, such as Ka-32 and Mi-17 used for fire-fighting and Ansat and Ka-226 medical helicopters," the minister added.